Who Completes the FAFSA When a Student Lives with his Grandparents? Grandparents and other relatives may not substitute their information for the parent's information on the FAFSA. My grandson lives with his grandfather and me. His parents do not support him other than providing medical insurance. He will claim himself on his 2012 income tax and his parents financials are not available to us. How do we handle completing the FAFSA and applying for scholarships, etc.? I am more than willing to provide our information if that is acceptable. — J.M. 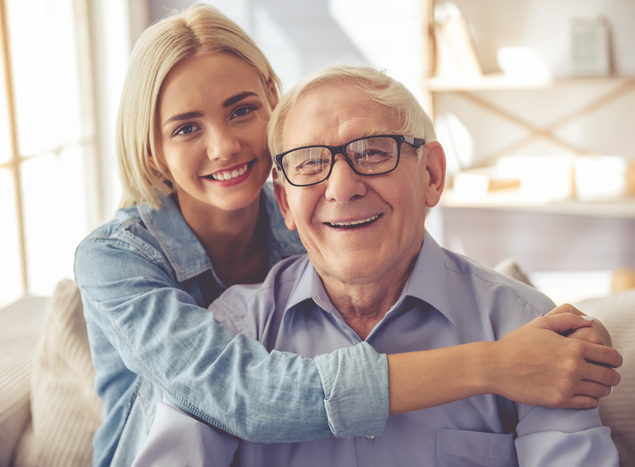 Grandparents and other relatives may not substitute their information for the parent's information on the Free Application for Federal Student Aid (FAFSA) unless they have legally adopted the student. Generally, only biological and adoptive parents are responsible for completing the FAFSA. In some cases a stepparent's information will also be required on the FAFSA. If the student's biological/adoptive parents are divorced, only the custodial parent is responsible for completing the FAFSA. (The custodial parent is the parent with whom the student lived the most during the 12 months ending on the FAFSA application date. If the student lived equally with both parents, it is the parent who provided the most support to the student.) If the custodial parent has remarried, the stepparent's information must also be reported, but only so long as the stepparent is married to the custodial parent. If the custodial parent subsequently dies, the responsibility for completing the FAFSA shifts to the non-custodial parent and the stepparent's income and asset information is no longer provided on the FAFSA. (The only exception is when the stepparent has adopted the student, which terminates the rights and responsibilities of the non-custodial parent.) Foster parents, legal guardians and relatives of the student are not considered to be parents on the FAFSA. If the student is considered independent, parental information is not required on the FAFSA. If the student is an orphan (both parents dead), in foster care or a ward of the court at any time after reaching 13 years of age or older, the student is considered independent, even if the student is subsequently adopted. An incarcerated student is not considered a ward of the court. A student who is a ward of the court does not remain in the legal custody of the student's parents. A student who is an emancipated minor or in a legal guardianship prior to reaching the age of majority is considered to be independent. These statuses are prone to misinterpretation. The term "emancipation", for example, is often used in reference to the termination of child support when a child reaches the age of majority (as opposed to prior to reaching the age of majority); such a child is not considered independent. The student's status as an emancipated minor must have been ordered by a court of competent jurisdiction in the student's state of legal residence. Likewise, the student's placement in a legal guardianship must have been ordered by a court of competent jurisdiction in the student's state of legal residence. The legal guardianship or emancipation must have been adjudicated by a court, not an attorney. Depending on the circumstances, sometimes a college financial aid administrator will grant the student a dependency override. For example, the college financial aid administrator might grant a dependency override to a student who is living with his grandparents if both of his parents are incarcerated or institutionalized or if there are court protection from abuse orders against both parents. The financial aid administrator may also grant a dependency override in cases involving abandonment, where the student has not had any financial support or significant contact with both parents for an extended period of time. Abandonment is often used as grounds for a dependency override when the custodial parent dies and the student continues to live with the stepparent, and the student hasn't had any contact with or support from the non-custodial parent for more than a year. College financial aid administrators cannot grant a dependency override just because the parents refuse to complete financial aid forms or verification, the parents refuse to support the student, the student demonstrates total self-sufficiency and/or the parents don't claim the student as an exemption on their income tax returns. Before granting a dependency override, the college financial aid administrator will want to have documentation of the unusual circumstances, including as letters from independent third parties who are familiar with the student's situation, such as letters from guidance counselors, doctors, clergy, social workers, government agencies and/or the court. Cash support that the student receives from anybody other than the student's parents (as listed on the FAFSA) must be reported on the FAFSA as untaxed income to the student. Cash support includes not just money given to the student and loans, but also money paid to someone else on behalf of the student. Cash support can include food, clothing, housing, car payments, medical and dental care, insurance and college costs. For example, if a student is living with his grandparents, the support they provide to the student must be reported as untaxed income to the student on the student's FAFSA. Likewise, if the stepparent is no longer married to the student's custodial parent but continues to support the student, the support must be reported as untaxed income to the student.